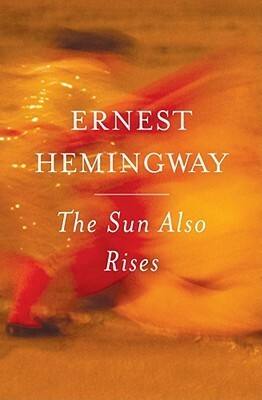 Hemingway’s book The Sun Also Rises has a very tight prose. I feel like Hemingway wrote it with an iron fist, so to speak. It’s extremely focused, direct and in most instances, expository. On the other hand, Kerouac’s prose is very loose; almost as if it had been sprinkled all over the page and it could have even been deemed “eye candy” had there been paragraph breaks; it’s very much as if Jack is sitting there telling you a story and as anyone knows, when someone is telling you a story, they tend to stretch it, bend it, mold it to make it seem more exciting than it really is. My mother is great at this. Once told me a story about her toe cramping up as if it was the most exhilarating story of all time and I should be honored to be privy to the intricate details. It also goes back to the way in which the story is told – without paragraph breaks. Many people tend to be long-winded when telling stories, veering off this way and that. Many critics would be accurate in pointing out (because it’s clearly evident) that Hemingway was extremely influential to other authors and his style of writing in the 1920s was different from the status quo of the time. However, I find what Kerouac and others of his mindset did in the early 1950s and beyond, more extraordinary. I tend to gravitate towards people, ideas or works of art that are against the status quo and the broad brush stroke society has manifested of what it means to be “normal”, “American”, “male”, “female” or whatever. Thus, when Kerouac and others of the same thought, somewhat rebel against the established 1950s “All American” façade, I like that. Ultimately too, because I always figured (erroneously, apparently) that Ken Kesey with his One Flew Over the Cuckoo’s Nest book in 1962 before the 1960s were the 1960s, started that whole anti-establishment shtick around that time period. Low and behold, these guys were doing it a decade prior. I respect On the Road for those two reasons (especially the latter), but I mean, it isn’t really my type of book. To me at least so far, I don’t think I would say that. This adventure doesn’t seem bereft of morality, but merely just absent social boundaries; which doesn’t mean a negation of morality, if that makes sense. Although, on thinking about it, they are living life without moral boundaries. But in sticking with “going beyond social boundaries,” I would say it isn’t a rejection of morality in its entirety, but rather the accepted or excepted norms, customs and morality of the conservative 1950s. And in that sense, I’m all for that. 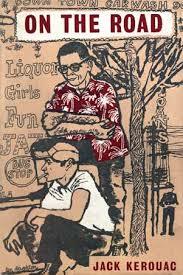 Certainly, some could argue that Kerouac fostered cultural decadence and the moral decay of society with his behavior and writing, but at the same time, one could argue that the mirage constructed of conservative 1950s America did just as much harm to society, if not more so.